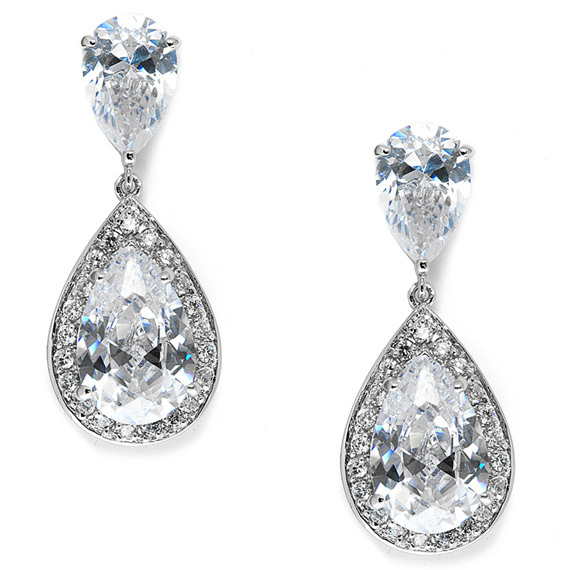 * Mariell's luxurious 1 1/2" h Double Teardrop Earrings have a Cubic Zirconia pear-shaped top with a vintage framed large pear drop. * These ravishing bridal or pageant earrings use top quality CZ's for a radiance that will have heads turning at any special affair. * Our gorgeous wholesale earrings are irresistable best-sellers so be sure to keep them stocked in your store's jewelry collection! * Our posh wedding or mother of the bride earrings use top quality CZ's that are sure to turn heads at any special affair.